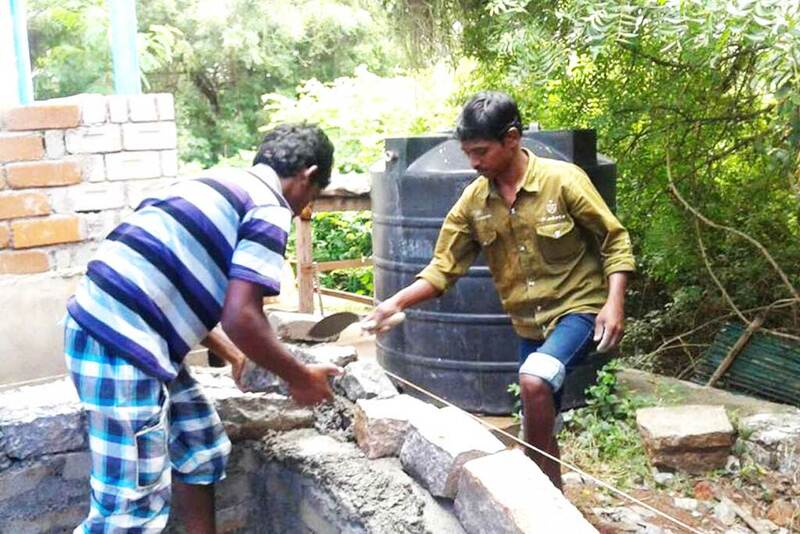 Amrita SeRVe organised a free 10-day training in building with compressed mud blocks. Nine villagers attended from two different villages–six from Koduru in Telengana and three from Gudupati Cheruvu in Andhra Pradesh. The goal of the course was to build two rooms in 10 days. Amma is happy to help villagers get more skills to generate new job opportunities as well as a chance to build new infrastructure in the village itself. The course took place at The National Institute of Rural Technology (NIRD), a government-funded research institute. NIRD examines the factors that affect the economic and social well-being of India’s rural population and supports rural development that focuses on the poor and disadvantaged through consultancy and education. It is one of the main advisories to the government of India for rural development.